Leo, with Yola and Nadiri in the background, 2016 photo by Jeremy Dwyer-Lindgren, Woodland Park Zoo. We’d like to share preliminary necropsy (animal autopsy) findings with you regarding our 40-year-old male gorilla, Leo, who passed away on the evening of March 29 after a brief illness. 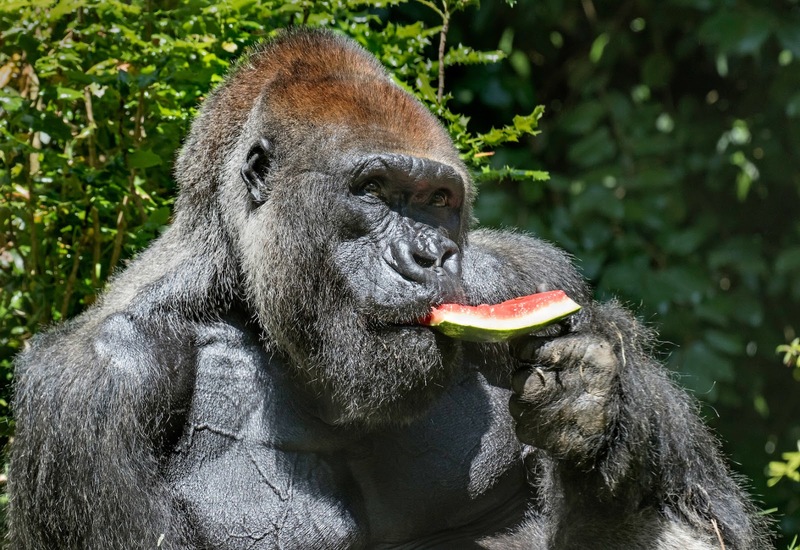 The most significant post-mortem findings indicate the upper middle-age gorilla died from an aortic aneurysm—the internal rupture of the wall of the ascending aorta, the major artery exiting the heart. 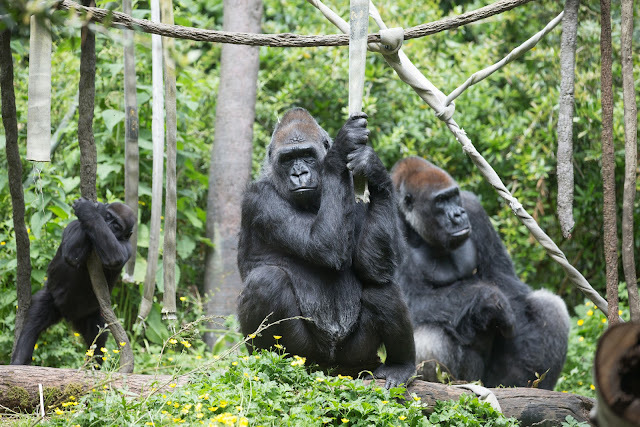 Woodland Park Zoo has participated in the Great Ape Heart Project and Collins says a more detailed examination of Leo’s heart will follow the protocols of the Project. The sudden death of Leo has been very hard for Woodland Park Zoo’s family. We are very touched by the outpouring of support we have received from our community. One way of honoring Leonel and thanking his animal keepers and caregivers is supporting the zoo’s gorilla conservation efforts. Yola, Nadiri and Leo in 2017. Photo by Jeremy Dwyer-Lindgren, Woodland Park Zoo. Every year, Americans toss aside nearly 9.4 million tons of electronic devices in favor of the hottest, newest technology. All that e-waste, including tens of millions of cell phones, end up in landfills here and overseas—and the discarded devices are taking a toll on the environment. The problem is that when they’re taken apart and destroyed, the pieces can emit toxins that are dangerous for people, wildlife and the health of ecosystems. That means it is increasingly important for cell phone users to dispose of and recycle their devices responsibly and ethically. 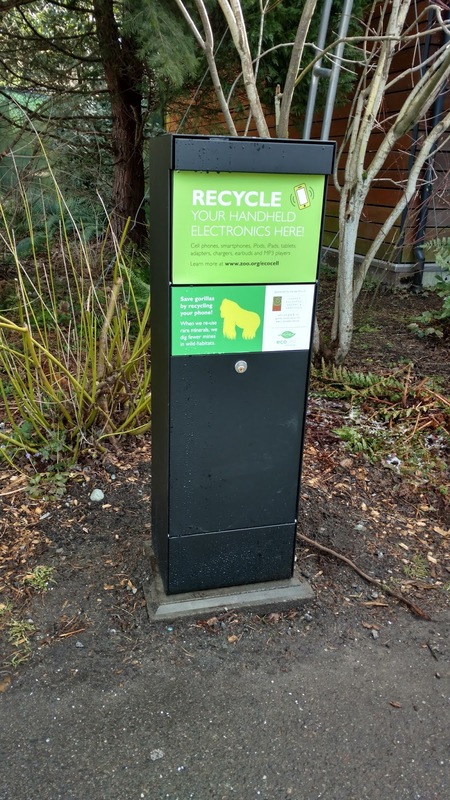 Woodland Park Zoo is proud to offer a disposal and recycling alternative that not only cuts down on waste but also helps save endangered species. We’re partnering with ECO-CELL, a company that reimburses organizations for collecting used handheld electronics, batteries and accessories, which keeps them out of landfills. All items received by the zoo and ECO-CELL, including batteries, accessories and cell phones that can’t be reused, will be recycled using the newest and safest technologies for recycling e-waste. This helps reduce the demand for minerals such as Coltan, an ore used in phones and other electronic devices. Coltan is mined primarily in the Democratic Republic of the Congo where habitat critical for the survival of endangered species, including the western lowland gorilla, is being destroyed. When the forest is lost to mining, that leaves gorillas and other animals homeless and vulnerable to poachers. But this is a cycle we can help break simply by recycling old devices. An ECO-CELL drop off bin at Woodland Park Zoo. Photo by Elizabeth Bacher, Woodland Park Zoo. You can now bring all your used handheld electronics (cell phones, MP3 players, handheld games, e-readers, digital still and video cameras, laptops, GPS, portable hard drives, etc.) to the zoo for collection. Receptacle bins, pictured here, are set up at both the South and West Entrances. 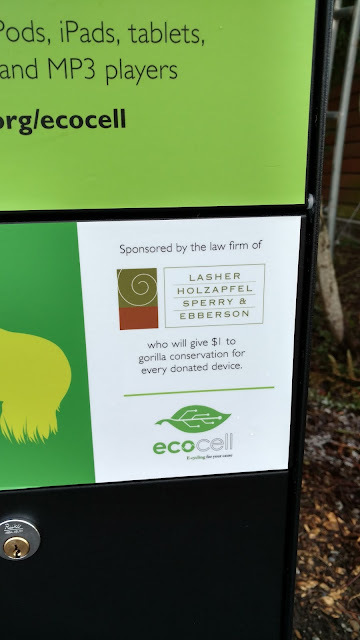 We’re also happy to announce that the litigation department of the Seattle law firm Lasher, Holzapfel, Sperry & Ebberson is helping save gorillas too! For every device you turn in at one of the receptacles, Lasher will donate $1 towards gorilla conservation (matching donations up to a designated amount each Quarter throughout 2018). Woodland Park Zoo will use funds from ECO-CELL and from the Lasher law firm to support the Mbeli Bai Gorilla Project and other great ape conservation programs. Photo by Elizabeth Bacher, Woodland Park Zoo. Mbeli Bai is just one of the many conservation and research partners that Woodland Park Zoo supports to help save species and habitats. 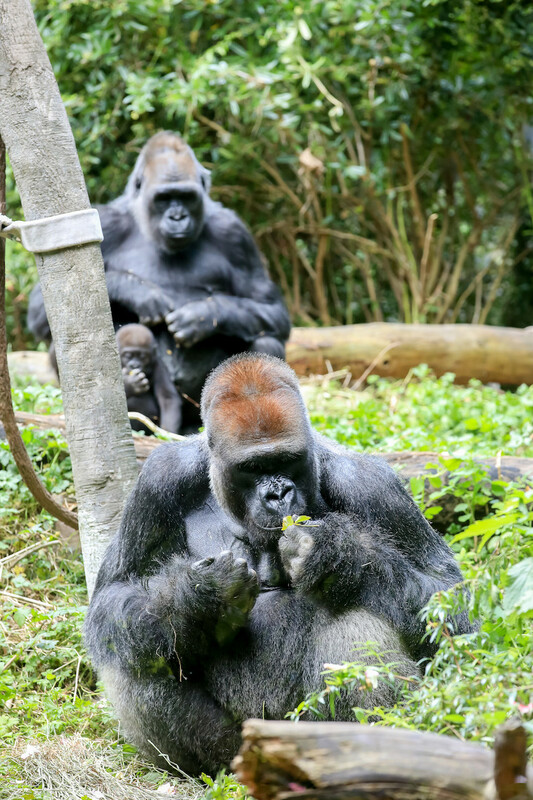 The Mbeli Bai study researches the social organization and behaviors of gorillas living in one of Republic of Congo’s national park areas. The information they collect helps scientists monitor the health of remaining gorilla populations, assess threats to their habitat, and plan conservation strategies that benefit both gorillas and people in local communities. So don’t forget to bring your handheld devices to Woodland Park Zoo for recycling. That includes cell phones, MP3 players, handheld games, e-readers and portable hard drives. You’ll help shrink your impact on the planet, help save gorillas and help protect all wildlife that share gorilla habitat. Leo enjoying a summer treat in 2017. Photo by Dennis Dow, Woodland Park Zoo.